MUST BE SOLD-make a reasonable offer!!! !You would NOT believe this a modular ranch home on a full basement built in 2000 and completely dry walled on the inside. This 3 bedroom 2 full bath ranch offers a split bedroom design. The large master suite boasts a private master bath. The other 2 bedrooms are of ample size and share another full bath. The cozy living room is open to the dining area with sliding doors to peaceful back yard. The eat in kitchen and dining room are open with plenty of cupboard and counter space. There is also a first floor laundry. 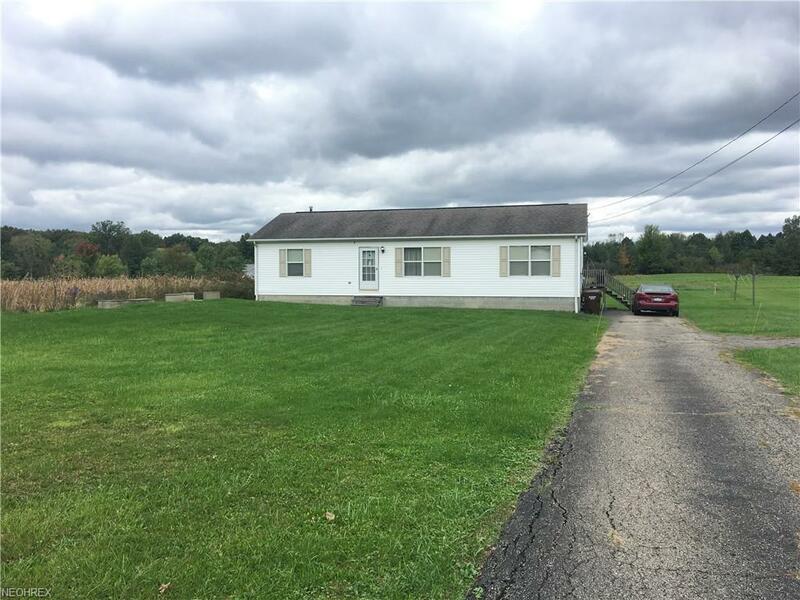 This home has an off lot septic system with a $125.00/year fee to the TCHD. There is city water coming and the cost of the curb box is $650.00. This fee will be assessed on taxes at 0% interest for 30 years or the new home owner can choose pay in full next year. The additional fees to tap into the water will be at the buyer's expense. This is a great buy in Southington Twp. © 2019Northern Ohio Regional MLS. All rights reserved. Information deemed to be reliable but not guaranteed. The data relating to real estate for sale on this website comes from Northern Ohio Regional MLS and the Broker Reciprocity Program.sm. Real estate listings held by brokerage firms other than Action Realty Co. are marked with the BR logo and detailed information about them includes the name of the listing brokers. Listing broker has attempted to offer accurate data, but buyers are advised to confirm all items. Information last updated on 2019-04-21.